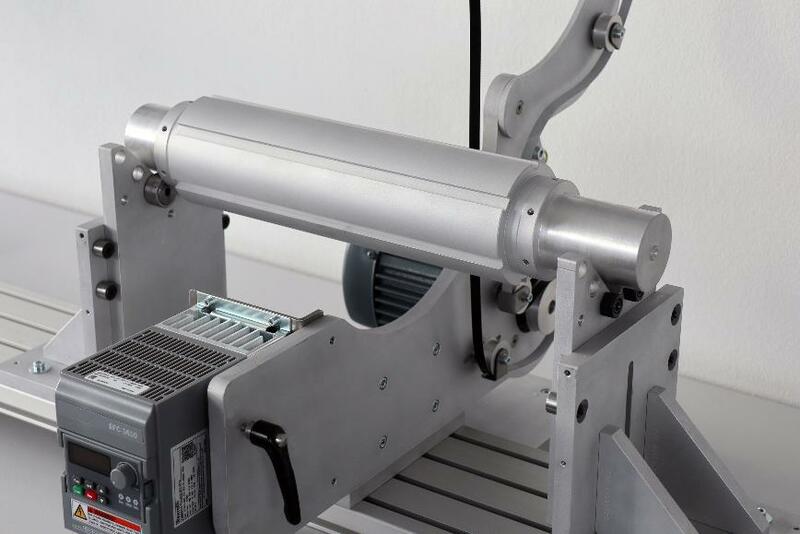 Balancing of long shafts is often associated with a rigid, fixed balancing machine that takes up a lot of space in the factory. With the development of the CAROBA© Balancer LongShafts, we now have a better solution for most shafts. Based on the principle "as much as necessary and as little as possible", it fulfils the criteria of low space requirements and high flexibility. Just like our OnDesk 500, you can remove the Balancer LongShafts from the storage shelf, place it on a worktop and balance your shafts. 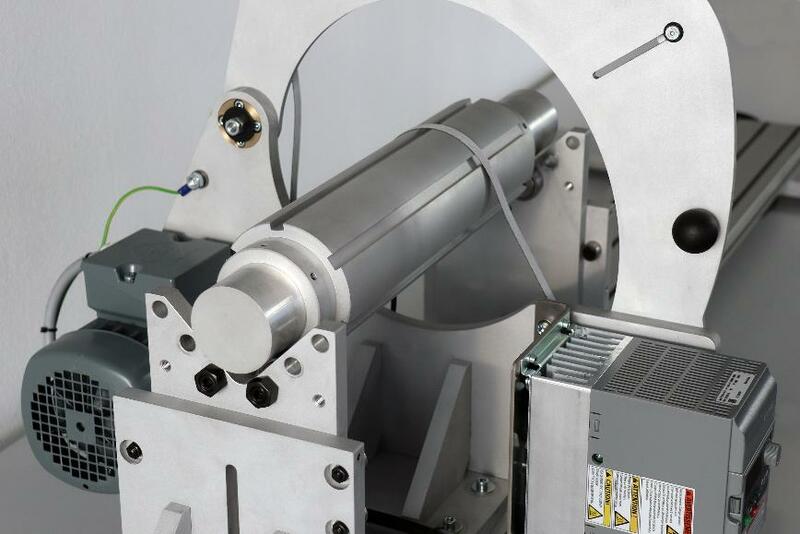 The simple operation of the balancing system and the high precision make the LongShafts ideally suited for manual balancing of individual parts to series. 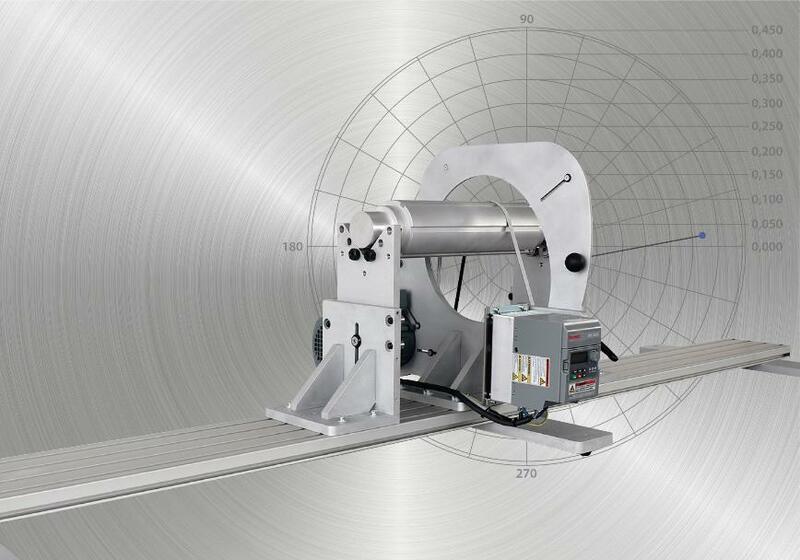 Thanks to the USB connection, you can operate the supplied UMS measuring system and balancing software comfortably with a standard PC or laptop with keyboard, mouse and screen. 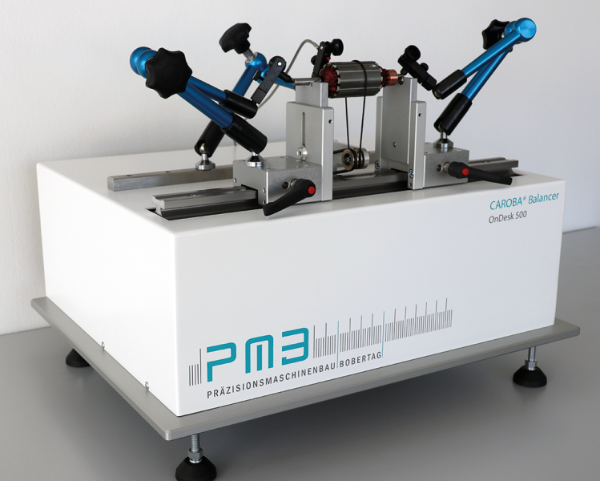 The LongShafts balancer is available as standard in combination with our proven and precise unbalance measuring system CAROBA@ UMS Compact. Of course, the CAROBA@ Balancer LongShafts is also fully compatible with our unbalance measuring systems UMS Pro and Pro-i.